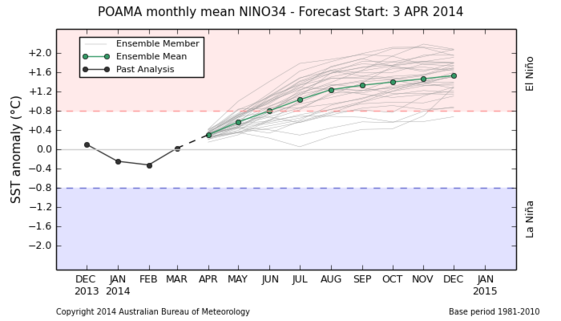 Like NOAA in the US, Australia’s Bureau of Meteorology periodically provides status updates on El Niño conditions and related climate conditions. Today’s update is similar to NOAA’s weekly update, so there isn’t much to add. However, their graphical summary of ENSO models is a little easier to read than NOAA’s. The exact underlying data is different, but the trend and forecast is similar.